The problem is, when leaders say "personality" they don’t understand what they’re referring to. 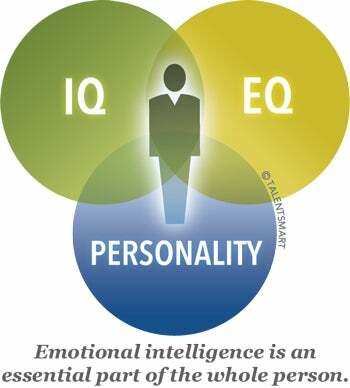 Personality consists of a stable set of preferences and tendencies through which we approach the world. Being introverted or extroverted is an example of an important personality trait. One thing an exceptional employee never says is, “That’s not in my job description.” Exceptional employees work outside the boundaries of job descriptions. They’re neither intimidated nor entitled; instead of expecting recognition or compensation to come first, they forge ahead in their work, confident that they’ll be rewarded later but unconcerned if they’re not. Student pilots are often told, “When things start going wrong, don’t forget to fly the plane.” Plane crashes have resulted from pilots concentrating so hard on identifying the problem that they flew the plane into the ground. Eastern Airlines Flight 401 is just one example: The flight crew was so concerned about the landing gear being down that they didn’t realize they were losing altitude until it was too late, despite alarms going off in the cockpit. Exceptional employees understand the principle of “Just fly the plane.” They don’t get distracted by cranky customers, interoffice squabbles, or switch to a different brand of coffee. They can differentiate between real problems and background noise; therefore, they stay focused on what matters. Dealing with difficult people is frustrating and exhausting for most. Exceptional employees control their interactions with toxic people by keeping their feelings in check. When they need to confront a toxic person, they approach the situation rationally. They identify their own emotions and don’t allow anger or frustration to fuel the chaos. They also consider the difficult person’s standpoint and are able to find solutions and common ground. Even when things completely derail, emotionally intelligent people are able to take the toxic person with a grain of salt to avoid letting him or her bring them down.